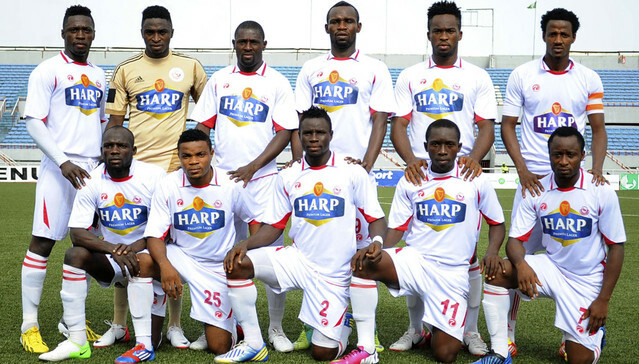 RANGERS INTERNATIONAL OF ENUGU are on the verge of history. 32 years after they last won the old Nigerian First Division football league title in 1984, the Flying Antelopes are just one point away from clinching the present day Nigerian Premier Football League (NPFL) title come the final day of the season on Sunday, 2nd October, 2016. The odds are stacked heavily in their favour to do it. First, their final game is at home at the Nnamdi Azikiwe stadium where they haven't lost a match this season. Second, their opponents, El-Kanemi Warriors of Maiduguri, have nothing more to play for: no title aspirations to pursue and no relegation fears to worry about. Third, Rangers players are fully motivated and, having come this far, are not about no let slip an opportunity of a lifetime to write their names in the annals of history. Fourth, the whole nation, apart from the supporters of their direct rivals Rivers United and Wikki Tourists, seemed to be rooting for Enugu Rangers to win this title as older soccer fans long for the "good old days of Nigerian football" when Rangers were one of the "traditional giants" alongside IICC Shooting Stars of Ibadan (now 3SC), Raccah Rovers of Kano, Bendel Insurance of Benin, Mighty Jets of Jos, Spartans of Owerri and Stationery Stores of Lagos. Last weekend at the Moshood Abiola stadium in Abeokuta, Rangers put themselves firmly in the position that they are now (with nine fingers on the trophy) when they recorded a 2-1 victory away to Ikorodu United even as their title rivals Rivers United shockingly drew 0-0 at home to Abia Warriors while Wikki Toursits lost 1-0 to 3SC in Ibadan. It's worth mentioning that Rangers were fortunate that Ikorodu had nothing to play for but pride, having already been relegated, whereas Abia Warriors and 3SC were fighting for survival in the NPFL which them more difficult opponents for Rivers and Wikki respectively. But that takes nothing away from Rangers' achievement because their current standing is the result of their performance over a long and difficult season, not just last weekend's match in Abeokuta. I'm sorry, but that was not a spelling error. That indeed is the correct pronunciation of "Rangers" with a prolonged "gers." That pronunciation, blaring out of the loud speakers of the official Rangers Football Supporters Club, is still ringing in my ears even as I write this. Welcome to the Nnamdi Azikiwe stadium and the Enugu Rangers set of 1987/88, about 28 to 29 years ago. When I told Complete Football magazine assistant editor, Kayode Ogundare this week in my office about my joy that Rangers were on the verge of winning the Nigeria Premier League, he thought that I was one of the fair weather "emergency" Rangers supporters just jumping on the bandwagon of their imminent success. I told Kayode that although IICC Shooting Stars were my first club as a Yoruba boy growing up in western Nigeria, I adopted our rivals Enugu Rangers as my second club when, as a young adult, I went for my youth service (NYSC) in 1987/88 in the old Anambra State, comprising of the present Enugu and Anambra States. Coincidentally, Shooting Stars were on relegation in the second division at that time, so there was no conflict of interest for me. After completing my orientation camping in the hills of Awgu, I was posted to the Anambra Motor Manufacturing Company Limited (ANAMMCO) in Enugu where I worked in the public relations department. Living in Abakpa Nike for a month before moving to Ogui Road, Enugu for the rest of my service year, I didn't miss a single Rangers game throughout my stay in the Coal City. In fact, I followed them to one away game in Owerri where "we" came back with a memorable 1-1 draw from an Oriental clash with Iwuanyanwu Nationale. I particularly remember that episode because, on the journey back to Enugu, the driver of the old luxury bus that I boarded drove like someone intent on committing suicide, and it was only by providence that we arrived safely at Ogui main market motor park. I could have been killed as a youth corp member because I went to watch a Rangers game! That was how I became closely connected with the club. The stars of the Flying Antelopes of that era that I still remember are captain Jude Agada, goalkeeper Emeka Amadi, school boys Herbert Anijekwu and Stephen Ezema who were recruited directly from the College of Immaculate Conception, Chimezie Nwanaga, Amaechi Otti, Mike Boateng, Iyalla Iyalla who transferred from Stationery Stores and Joe Ashinze who was the club's flamboyant top goal scorer. 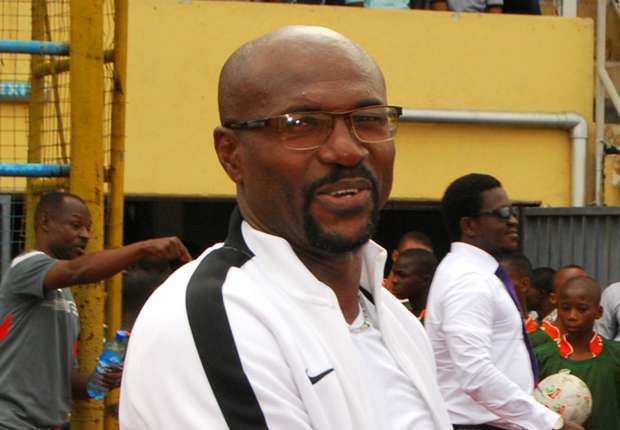 The coach was the great Alabi Aissien working with a Dutch technical adviser, Janusz Kowalik, although they eventually fell out and Aissien resigned mid season. Rangers club chairman at the time was a diminutive Chief Ben Osi Umunna who brought his experience and exposure as a board member of Crystal Palace FC of England to bear on the running of Rangers. Osi Umunna introduced a lot of novelty at the club, devoted his own resources to pay players' salaries and bonuses and personally organized and sponsored a lavish end-of-season Rangers Awards night held at the Independence Hotel annually for several years even after I had left Enugu. In fact, one of my first out-of-station assignments when I joined Complete Football as a journalist later in 1988 was to go and cover the Rangers Awards Night in Enugu. Unfortunately, despite all of Umunna's great contributions, Rangers never won anything under his tenure. So, you can see that I have a lot of fond memories of my association with Enugu Rangers. Therefore, I consider myself as an authentic fan of the club and I always want them to win, except when they're playing against Shooting Stars! When I say in my headline to this article that "Rangers must seize the moment," I am not referring to winning this year's Premier League title anymore. Despite the sensible protestations of the current coach Imama Amakapabo that he doesn't want his players to celebrate prematurely, the truth is that the title is already in the bag; it's a done deal. By "seizing the moment," I talk now of how Enugu Rangers can ride on this happy moment in their history to transform from an old-fashioned, government-run football club into a modern, privately-run and commercially successful business enterprise. If Rangers triumph can elicit the king of nostalgia it has done for me as narrated above, I can imagine what it is doing for the average Igbo man who was born and bred in Eastern Nigeria, who witnessed or directly felt the impact of the Nigerian Civil War in the late 1960s, and who remembers how the founding and early successes of Enugu Rangers Football Club in the early 1970s came to symbolize the resurgence of the Igbo race in the Nigerian socio-cultural, political and sporting firmament. Following the sufferings and deprivations of the Civil War, Rangers gave the Igbo race voice again, gave them pride and gave them confidence. Rangers became more than a football club; they became a mass movement that dominated Nigerian football in the 1970s up till the early 1980s, winning six league titles (1974, '75, '77, '81, '82 and '84); five FA Cups (1974, '75, '76, '81 and '83); and providing many players for the national team of that era, the Green Eagles. Rangers were known for their never-say-die fighting spirit. They always stood out with the rippling muscles of their powerful players threatening to burst out of their sparkling white jerseys. Obviously, more than three decades of failure to win any major trophy since 1984 has devalued the Rangers brand somewhat. However, the deep love for the club has remained alive and kicking in the hearts of their supporters. This 2016 Premier League triumph is a fantastic opportunity for the giant in Rangers to rise again. I propose to the Enugu State Government the establishment of a credible and transparent process of selling Enugu Rangers to the people of Enugu State as a commercial enterprise. Government will retain a percentage of the shareholding, but the majority of the shares will be sold to the people and friends of Enugu State. If the government needs to hire the services of local or foreign experts or consultants to handle the transaction, they should do so. Enugu people are famous for their industry and commerce, they are rich and they love their football. Most importantly, they love Enugu Rangers. Now that Rangers has made them happy again, this is the time to get them to open their purses to guarantee the future of the club. By going partly private, Rangers would not have to live off government patronage and the attendant cash shortages again. 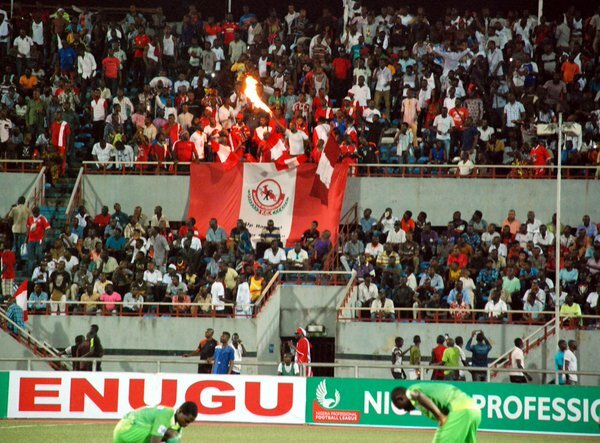 If the likes of Ikorodu United, IfeanyiUbah FC and a few other privately-run clubsides can survive in the Nigerian League with their relatively modest followership, how much more Enugu Rangers which is a mass movement; an institution. I recall making a similar suggestion to Enyimba of Aba at the height of their glory days as double African Champions about a decade ago, but they missed the opportunity. I hope Rangers will not make the same mistake. The best time to get the people to invest in a football club is when the performance graph is on the upswing because everyone loves to be part of a winning team. If Rangers seize this moment to go public, with proper planning and professional management, I see them becoming a model for other government-owned clubsides to transit from a mere public relations department of government into a full, self-financing business enterprise. I conclude today by singing the famous Rangers song to celebrate their latest triumph of 2016: Holy-holy; holy-holy, holy-holy, Enugu Rangers, Another Champion! (Young soccer fans reading this who have never heard this song before are advised to ask their parents or other older fans to sing it for them). RAIN-JAAAAAAARRRRRRRRRRS!!!! O di kwa egwu!